Simon J. E. Taylor, Azam Khan, Katherine L. Morse, Andreas Tolk, Levent Yilmaz, and Justyna Zander. 2013. 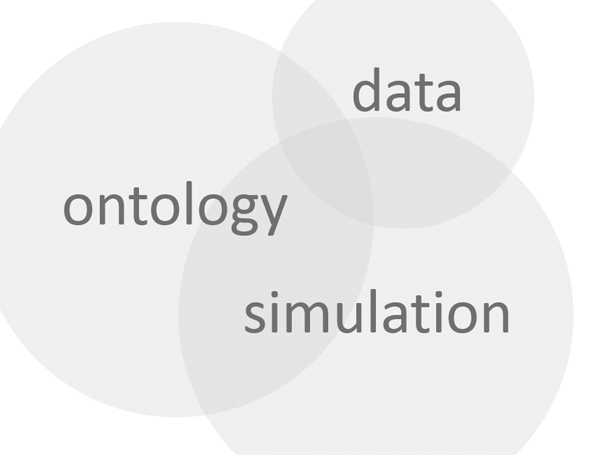 Grand challenges on the theory of modeling and simulation. In Proceedings of the Symposium on Theory of Modeling & Simulation - DEVS Integrative M&S Symposium (DEVS 13). Society for Computer Simulation International, San Diego, CA, USA, , Article 34 , 8 pages. Modeling & Simulation (M&S) is used in many different fields and has made many significant contributions. As a field in its own right, there have been many advances in methodologies and technologies. In 2002 a workshop was held in Dagstuhl, Germany, to reflect on the grand challenges facing M&S. Ten years on, a series of M& S Grand Challenge activities are marking a decade of progress and are providing an opportunity to reflect and plan for the future. This second Grand Challenge Panel brings together a new set of experts from both industry and academia to reflect on M&S Grand Challenges. Themes include big simulation, coordinated modeling, large scale systems modeling, human behavioral modelling, composability, funding availability, cloud-based M&S, engineering replicability into computational models, democratization of M&S, multi-domain design, executing and targeting hardware platforms and education. It is hoped that these activities will provide inspiration to those already working in or with M&S and those just beginning their career.